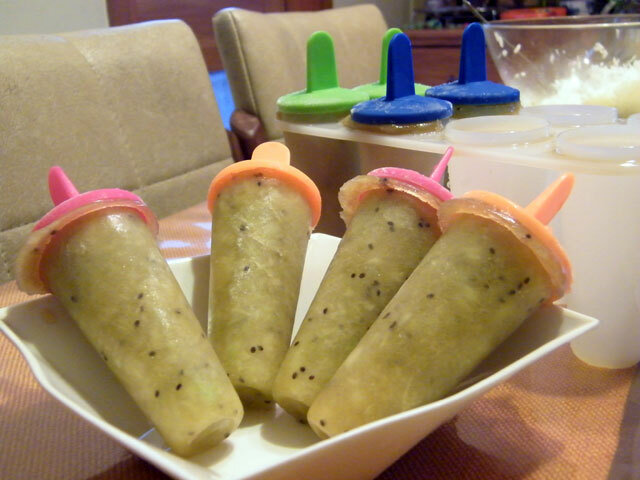 I spotted a popsicle mould last weekend while doing the groceries, and I thought it would be great to make frozen treats with the kiwi fruits which we have a lot of at home right now, given to my wife by friends. She surely would not be able to eat all of them so turning these into popsicles (or, as my son Jo-Lo said, they're ice blocks) might make it more fun to eat and they'll keep longer in the freezer than on the tabletop. 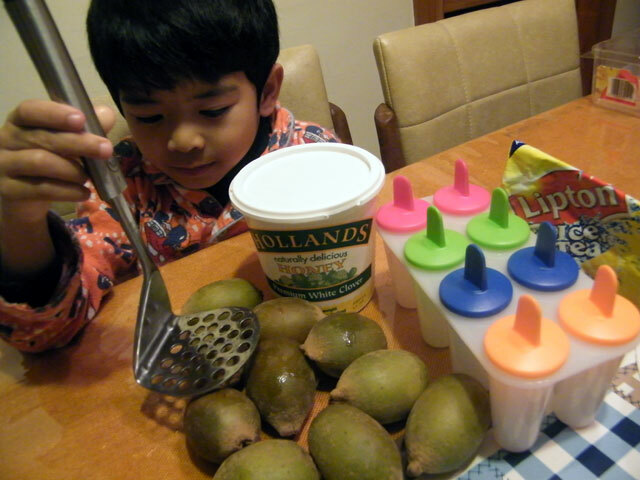 The kiwi fruit is quite juicy by itself so I only added a small amount of liquid to help freeze it up. We only have iced tea available so I used that. It would have been more appropriate to use kiwi fruit juice but that wasn't available. The iced tea turned out great! 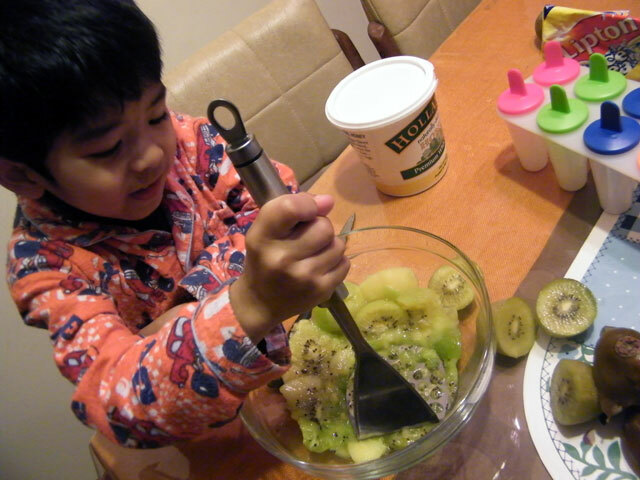 Cut the kiwi fruit into two and spoon out the fruit onto a bowl. 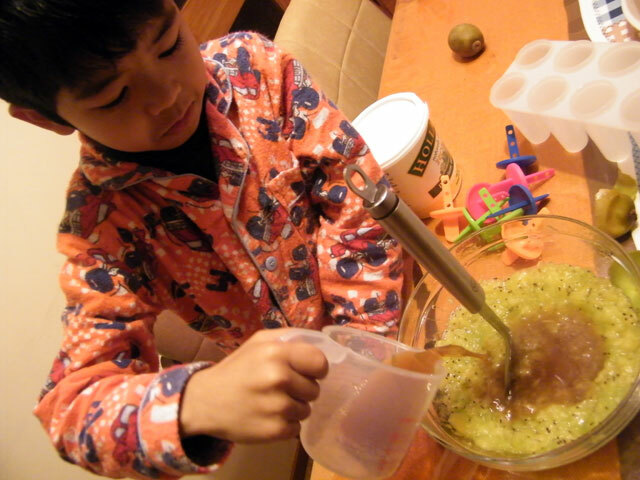 I did not want to bother with using the food processor so we used a potato masher instead to create the fruit pulp. Add the juice and the honey and mix. You can have a taste at this point and add more honey for sweetness if needed. 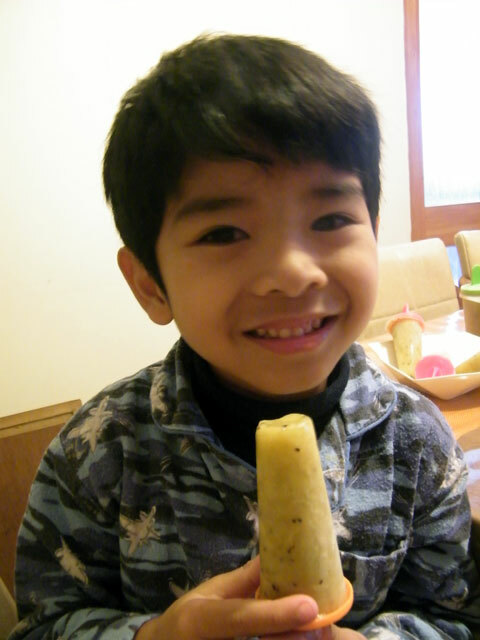 Spoon the mixture onto the popsicle moulds then freeze overnight. To remove, hold the handle firmly then give it a good twist and pull out. Submerging the mould on warm water for a few minutes can also help, though I don't think that's necessary. Here's an idea. 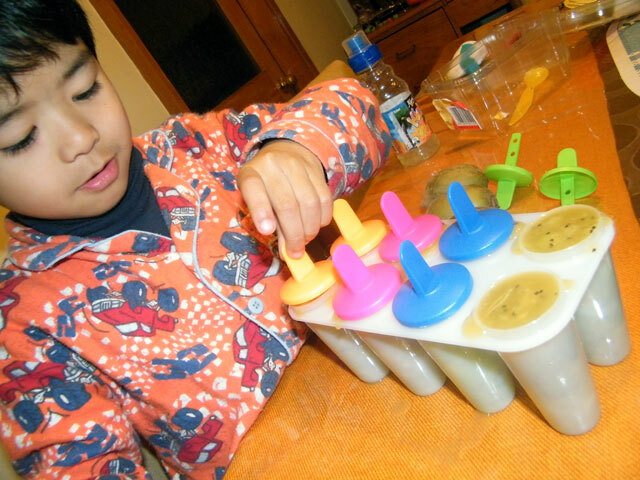 If you do not have a popsicle mould, use your ice cube tray instead! Halfway through the freezing process, insert popsicle sticks so these can stand then resume freezing.